In a parable in the 18th chapter of Matthew, Jesus told the story of a master who one day summoned his servants to pay off the money they owed him. One man who was brought in owed his master what today would be the equivalent of more than 100 million dollars. He, of course, would have never been able to pay back that amount. Verse 25 reads: “Since he was not able to pay, the master ordered that he and his wife and his children and all that he had be sold to repay the debt.” Upon hearing this, the servant fell on his knees crying out to his master and begging him to be patient, promising that he would repay the debt. The master knew that there was no way in the world that this man would be able to do that, but he was moved with so much compassion when he saw his servant in that state, that he forgave him and completely wiped off his debt. The story goes on to say that as soon as he went out, he found a fellow servant who owed him what in that day amounted to the wages a man would earn for a hundred days of work but much less than his debt by more than a thousand to one. He grabbed his fellow servant by the neck and began to choke him demanding payment of the debt. Just like he himself had done earlier in the day, the fellow servant pleaded with him to be patient promising that he would pay him but he refused and had the man thrown into prison until he could pay the debt. What a jerk, right? Talk about selective memory! This guy immediately forgot how extremely merciful his master had been with him to forgive his debt but did not forget nor forgive the money his fellow servant owed him. If a person’s attitude does not change after he has been given such an enormously valuable gift like the one this man received, there has got to be something absolutely evil living inside his heart. Would you ever be the same again if someone today were to completely pay off your house, vehicles, and every other outstanding debt you have? Would you not be more patient, kind, and forgiving after that? At this point, I bet some of you have already considered what you yourself would do to someone like that if given the opportunity; but wait a minute, child of God. Before you start pointing the finger at people like this, consider your own situation. Whether others, besides you and God, know it or not, have you forgiven everyone who has wronged you? Now at this point, I sense one or two of you could say, “Bro. Joe, you don’t realize what they did to me nor the emotional scars I may carry for the rest of my life because of it.” Remember the gigantic and unpayable debt the man in the parable had and was yet forgiven? Our sin debt to God was far greater, yet He forgave us on the day we asked His pardon. When we don’t forgive others, we are essentially making them our debtors because had we genuinely forgiven them, we would have actually completely wiped off their debts to us. 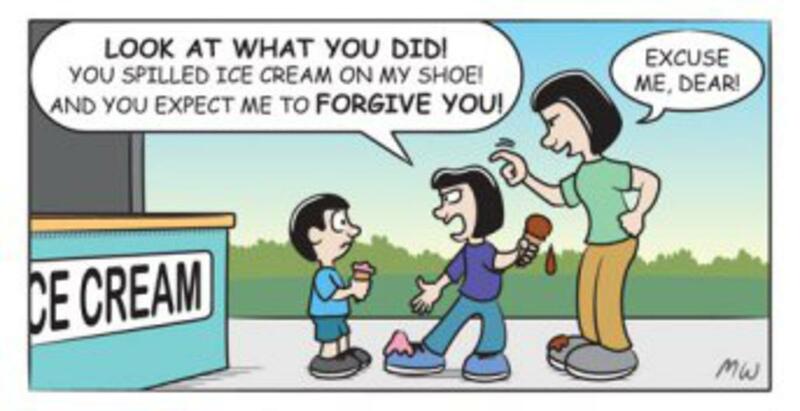 We should forgive others because the Lord forgave us. But to make the matter more simple, we should forgive others their debts to us because the Lord said we should. If you need to forgive someone today, please don't wait any longer.